Come inside, a warm welcome and your new smile await you. Some people have unsightly spaces between their teeth or have areas of their mouth which do not function properly whilst chewing and are unaware that things need not stay that way. Sometimes patients worry that their cheeks are folding in where they have missing teeth, but both of these problems can be avoided. We can help. By providing a dental bridge to replace the missing teeth, these problems can be corrected. A bridge replaces missing single or multiple teeth so that the patient does not have to wear a denture. There are a variety of techniques to do this. A bridge is permanently fitted and unlike a denture is not removable. We will provide you with details of different techniques that we feel are most appropriate for your needs. We will, of course, also provide you with details of the various fees for those options so that you are able to decide what you believe is right for you. Preparing the teeth to support a bridge is done very smoothly and comfortably on the first visit. An impression is taken which does not need to cover the whole mouth, causing little or no discomfort or worry for the patient. We would then normally provide a temporary bridge to protect the prepared teeth, which would be functional and aesthetic. This would usually be worn for up to two weeks whilst our technicians use their skills to construct your bridge in the laboratory. When the bridgework is ready, it is a simple and much shorter visit to fit the work permanently to complete the procedure. Your bridge will look and feel like your own teeth and you will be able to eat immediately. If you want to fill a gap in your mouth, bridgework treatment could be for you. A new bridge can look and feel quite natural, giving you back the function and appearance that you desire. It is also possible to replace missing teeth with dental implants as an alternative to a bridge and you might also like to refer to the section of this web site regarding dental implants. Treatment is painless, comfortable and is usually easily achieved in just two visits. Please ask us for more information. Professional, friendly, warm and efficient. This is an outstanding practice. I received my retainer in the post and it fits lovely- no adjustment needed. Just wanted to say thank you to everyone for all your hard work including coming in on weekends for me. Thanks a lot! Staff always happy. Very good! Thank you for fitting me in at such short notice before the wedding and for the work you did. We had a wonderful (and pain free) day! 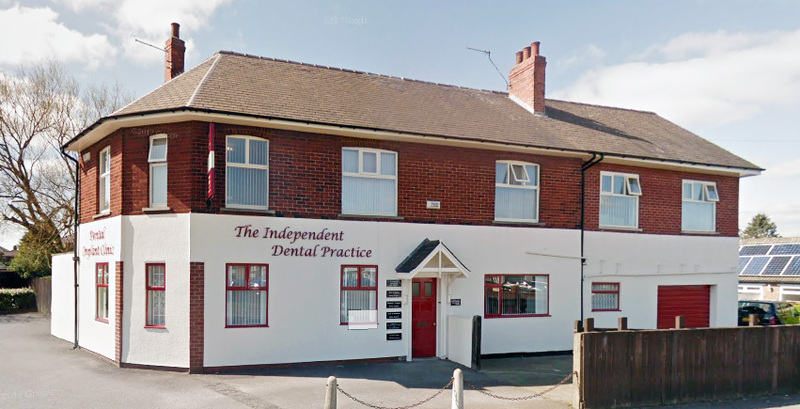 The practice was founded in 1984 by the principal, Denis Stubley and grew rapidly. The first patients very quickly encouraged family and friends to visit our forward thinking surgery to experience the high standard of service on offer.